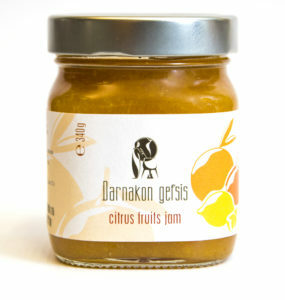 Made with fresh oranges, tangerines and lemons that has been harvested the right time. This jam can fill with excitement even the most discerning. Taste it with freshly baked bread, on a homemade cake or even a cheesecake.